Garrey Carruthers had a head start when he became New Mexico State University’s 27th president last summer. The NMSU graduate already knew his way around campus, serving previously as a professor, dean and vice president. He probably had as much experience with NMSU as anyone could, but that doesn’t mean he knew it all. One of his favorite stories of discovery at NMSU involves Brad Gordon, a retired corporate executive and successful venture capitalist. Gordon originally attended a Big Ten university, but failing grades got him kicked out of school his junior year. Eventually, a career counselor advised Gordon of the possibility of attending NMSU, where he could start fresh. 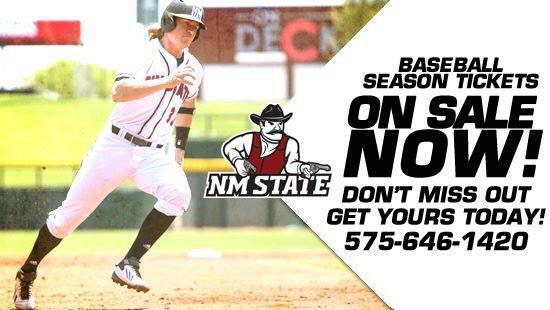 NMSU is where Gordon found himself. The faculty members he met gave him a belief in himself, his abilities and his talents, and how to put them to use to make an impact. Agriculture has deep roots at NMSU, and holds a special place in Carruthers’ heart as well. He grew up and worked on his family’s farm in Aztec, New Mexico. The theme of discovery folds well into NMSU’s commitment to agriculture and the university’s mission of outreach. Since becoming president, Carruthers has stopped by Cooperative Extension offices from Catron County to Chaves County, and has visited NMSU’s agricultural science centers in Artesia, Clovis and Los Lunas. Each time, he meets those tasked with discovering and then addressing the needs of their communities. Going forward, Carruthers wants to work with area agricultural leaders to create a “heritage farm” on the NMSU campus. One of Carruthers’ favorite duties is meeting with alumni across the country. In the last year, he’s spoken with dozens of NMSU graduates around New Mexico and across the country. Many times, Carruthers either went to school with or taught the graduates he encounters. Each time, he enjoys hearing about the successes they found after graduation. It was during a visit to San Jose that Carruthers learned about Jerry Landrum. Landrum earned a degree in chemistry from NMSU and later went on to work at Los Alamos National Laboratory as well as the Lawrence Livermore National Laboratory in Livermore, California. During his time in California, his work with a team of scientists assisted in the creation and detection of the atoms of six new heavy elements. “Jerry is an excellent example of how we provide the knowledge and skills necessary for our students to make profound discoveries after they graduate,” Carruthers said. As the university continues to grow, it must also look increasingly to new sources of funding to make important programs possible. Since becoming president, Carruthers has helped secure a number of important gifts. In August, NMSU alum Mike Johnson and his wife, Judy, donated $1.4 million to help renovate Presley Askew Field for the Aggie baseball team. The following month, businessman Stan Fulton donated $1 million to help with construction of NMSU’s Pete V. Domenici Hall. Once completed this fall, the building will be home to NMSU’s Domenici Institute for Public Policy, portions of the Arrowhead Center, which specializes in economic development, and will be the third building for the NMSU College of Business. In October, NMSU alum Bill Sheriff and his, wife, Sharon, donated $1.1 million to NMSU’s College of Business and the Arrowhead Center to create an endowed chair in entrepreneurship. Also that fall, the university announced a $600,000 gift from NMSU alum Jim Wetherbe and his wife, Brynn, to construct a nondenominational spiritual center at NMSU. Carruthers also has helped finalize other contributions to help benefit various parts of the university. And who knows, perhaps one of these new projects will light a spark in a current NMSU student, inspiring that person to make the university’s next big discovery. After all, NMSU is all about discovery.